The AC Test Set HPA 100 is a powerful test set. 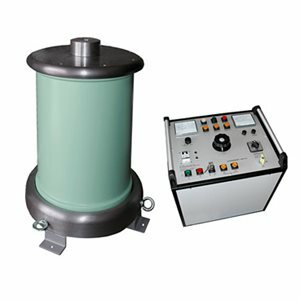 The unit has been designed for mounting in cable test van and can be used for testing of cable systems and for burning down high-resistance cable faults with a high breakdown voltage. The test set can be equipped with a rectifier attachment for DC testing up to 130 kV. Since the own noise-level of the test system is below 1 pC, it is also suitable as a voltage source for PD-measurements.